The present study demonstrates that the path of the “organic public sociology” (proposed by Michael Burowoy in his famous call of the 2004) as the dominating mode of sociological practice in the national context can be menacing with the serious pitfalls manifested in broad historical perspective. We reveal the four pitfalls basing on the analysis of the Russian experience through the last 150 years. 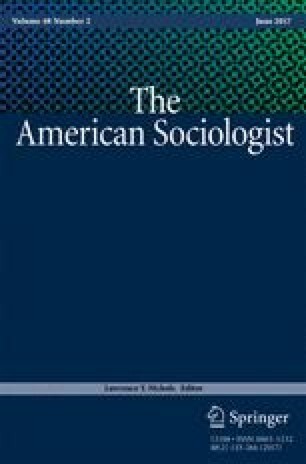 First, the over-politicization and ideological biasness of sociological activities; second, the “personal sacrifice” of sociologist as a romanticized practice, potentially harmful for the discipline; third, the difficulties of the professional sociology institutionalization; fourth, the deprivation of the policy sociology development. Analyzing the history of Russian sociology in the context of the current international discussions, we give particular reference to the idea of the “Scientized Environment Supporting Actorhood” elaborated by John Meyer. We suggest the mode of communication between sociology and society, which, in our view, could be helpful for improving their interactions in various local, national and global contexts in the XXIst century. This mode escapes the political emphasis and ideological claims but rather concentrates on the more fundamental ethical issues. It also tries to overcome the limitations of the contemporary professional mainstream (instead of idealizing it). Finally, it presents itself to the publics in the understandable way, while remaining properly scientifically validated (however, avoiding the exaggerated accent on the statistical procedures and fitishization of the natural science’ principles (“numerology” and “quantofrenia”)). The public activities of the prominent sociologist Pitirim Sorokin in the American period of his career are a good example of this approach to the interactions with society. Mironenko, I. & Sorokin, P. (2015). Culture in psychology: Perennial problems and the contemporary methodological crisis. Psychology in Russia: State of the Art, 8(4), 35--45. doi: 10.11621/pir.2015.0403.